Kentucky's Mammoth Cave National Park is home to the world's longest known cave system, boasting over 365 miles of explored and mapped passageways. Geologists estimate that there could be as many as 600 miles of this vast subterranean world that remain unexplored. In addition to the renowned Mammoth Cave, the park also includes over 50,000 acres of untouched hills, streams and forests. Almost 70 miles of scenic trails cross the area and the Green River winds through the landscape. Nearly two million visitors from all over the world come to the park each year to explore and enjoy nature. In 2003 nature photographer Raymond Klass was awarded an artist-in-residence position at the park and was granted special access to the cave and the surrounding wilderness. For nearly three months he lived in the park, taking thousands of photographs of famous cave formations such as Frozen Niagara and the Drapery Room as well as scenery and vistas not often accessible to the general public. 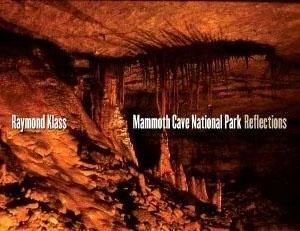 Mammoth Cave National Park: Reflections is Klass's unique visual exploration of both the above- and below-ground ecosystems within the park. With over 100 dramatic full-color photographs accompanied by Klass's commentary and extracts from his journal entries he kept while living and working in the park, the book is a celebration of this distinctive environment and of the extraordinary diversity of one of our most popular national parks.